Vickery has sponsored RUN Frimley since 2010 and is supporting this year’s event, to be held on Sunday 6th May. 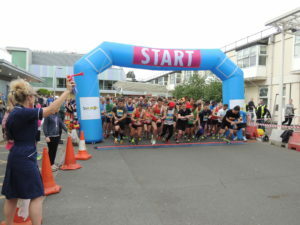 An annual charity event organised by The Frimley Health Charity’s Stroke Appeal, RUN Frimley will raise vital funds for the stroke unit at Frimley Park Hospital. 100% of the money raised will go towards the development of the unit into one of the best in the country, providing more of the latest equipment and better access to complementary therapies. Hundreds of runners are expected to take part in RUN Frimley 2018 and participate in either the 10km road race or the 2.5k fun run, both of which start and finish outside the main entrance of Frimley Park Hospital. Vickery would like to encourage more athletes and fun runners to enter before online registration closes on Wednesday 2nd May. If you are interested in taking part, you can enter here: www.frimleyhealthcharity.org. Runners are invited to wear fancy dress and all participants will receive a finishing medal and refreshments. For anyone that opens a Just Giving page and collects at least £50 in donations before the entry closing date in April, they will get a free RUN Frimley 2018 branded running vest to wear on the day. This entry was tagged Charity, Frimley, Sponsorship. Bookmark the permalink.